This article is currently being updated to describe new features, provide more details, and improve readability. This article describes how to purchase Power BI Premium capacity (P1-P3) for your organization. You purchase Power BI Premium capacity in the Microsoft 365 admin center, and you manage your capacities in the Power BI admin portal. For current pricing and planning information, see the Power BI pricing page and the Power BI Premium calculator. Content creators still need a Power BI Pro license, even if your organization uses Power BI Premium. Ensure you purchase at least one Power BI Pro license for your organization. If a Premium subscription expires, you have 30 days of full access to your capacity. After that, your content reverts to a shared capacity. Models that are greater than 1 GB will are not supported in shared capacity. 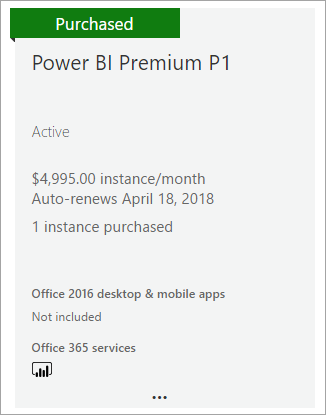 If you don't have an existing tenant and want to create one, you can purchase Power BI Premium at the same time. 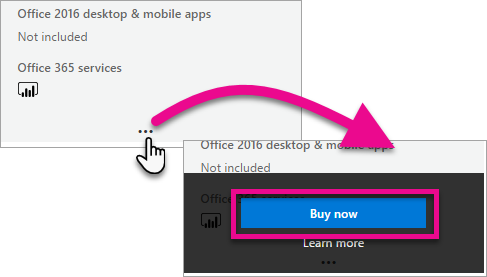 The following link walks you through the process of creating a new tenant and enables you to purchase Power BI Premium: Power BI Premium P1 offer. When you create your tenant, you will automatically be assigned to the Office 365 Global Administrator role for that tenant. If you have an existing organization (tenant), you must be in the Office 365 Global Administrator role or Billing Administrator role to purchase subscriptions and licenses. For more information, see About Office 365 admin roles. To purchase Premium capacity, follow these steps. 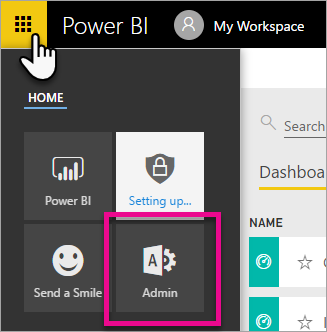 From within the Power BI service, select the Office 365 app picker then Admin. Alternatively, you can browse to the Microsoft 365 admin center. You can get there by going to https://portal.office.com and selecting Admin. Select Billing > Purchase services. Under Other plans, look for Power BI Premium offerings. This will list as P1 through P3, EM3 and P1 (month to month). Hover over the ellipsis (. . .) and then select Buy now. Follow the steps to complete the purchase. After you have completed the purchase, the Purchase services page shows that the item is purchased and active. Now that you have a capacity, you can add more as your needs grow. You can use any combination of Premium capacity SKUs (P1 through P3) within your organization. The different SKUs provide different resource capabilities. In the Microsoft 365 admin center, select Billing > Purchase services. Find the Power BI Premium item you want to purchase more of under Other plans. 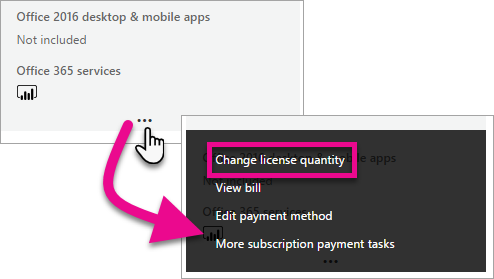 Hover over the ellipsis (...) and then select Change license quantity. Change the number of instances that you want to have for this item. Then select Submit when finished. Selecting Submit charges the credit card on file. The Purchase services page will then indicate the number of instances you have. Within the Power BI admin portal, under Capacity settings, the available v-cores reflects the new capacity purchased. You can cancel your subscription from within the Microsoft 365 admin center. To cancel your Premium subscription, do the following. Browse to the Microsoft 365 admin center. Select your Power BI Premium subscription from the list. Select More actions > Cancel subscription. The Cancel subscription page will indicate whether or not you are responsible for an early termination fee. This page will also let you know when the data will be deleted for the subscription. Read through the information, and if you want to proceed, select Cancel subscription. When you cancel your Premium subscription, or your capacity license expires, you can continue to access your Premium capacities for a period of 30 days from the date of cancellation or license expiration. After 30 days, you will no longer be able to access your Premium capacities or workspaces in them.